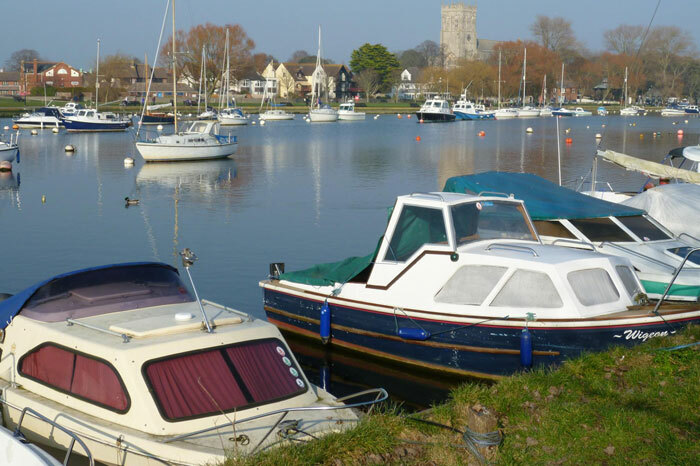 Christchurch Harbour is set midway between the Solent and Poole Harbour and provides easy access to one of the most popular areas for boating on the south coast. 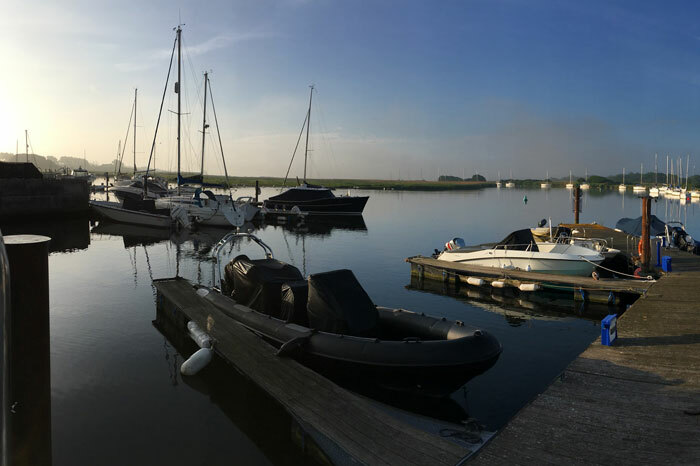 The harbour offers practical and picturesque moorings for small to medium-sized craft. The Royalty Moorings reach down from the River Avon and Stour and cover approximately three-quarters of the Harbour. Within this area, there is a range of moorings from bankside and pontoon moorings in the river, to self-laid swinging moorings in the harbour. Draught restrictions of a metre or less allow only small and medium sized craft to use the harbour. All craft, which moor in the harbour, must be able to rest on the bottom at low tide. Trot moorings above Tuckton Bridge. Only suitable for boats with maximum of 2.1m (7ft) superstructure above waterline (clearing Tuckton Bridge). For vessels between 7.9m (26ft) and 9.1m (30ft) in length with a draught up to 1.5m. Dinghy/tender required for access, and space is provided on Tuckton Island Pontoon for storage. Trot moorings above Tuckton Bridge, suitable for boats with a maximum of 2.1m (7ft) superstructure above the waterline to pass under the bridge. Moorings for vessels up to 7.9m (26ft) in length and draught up to 1.5m. A dinghy/tender is required for mooring access with storage spaces provided on Tuckton Island. Bow on and alongside moorings. Some have access via Tuckton Island. Most are suitable for vessels with a length of approximately 5.5m (18ft) and with a 0.6m (2ft) draught. Ten mid-stream moorings between steel piles. For vessels between 7.9m (26ft) and 12.2m (40ft) in length with a draught of up to 1.2m (4ft). Dinghy/tender required for access, and space is provided on Tuckton Island Pontoon for storage. Limited number of deep water pontoon moorings, access via Tuckton Island. Bow on pontoon moorings. Outside – pontoon for vessels up to 7.3m (24ft) in length, with a 0.6m (2ft) draught. Inside of pontoon for vessels up to 6.1m (20ft) in length, with a 0.6m (2ft) draught. Trot moorings alongside the riverbank. Boats can be pulled towards the bank to embark. For vessels up to 8.2m (27ft) with a draught of 0.9m (3ft) for the majority of the moorings. Moorings at either end of Riverlands are for 6.4m (21ft) vessels with 0.6m (2ft) draught. Trot moorings. Dinghy/tender required for access. For vessels up to 7.9m (26ft) in length with a draught of 0.9m (3ft). Bow on moorings for vessels up to 6.1m (20ft) in length and with 0.6m (2ft) draught. Mid-stream trot moorings for various sizes of boats from 6.1m (20ft) to 9.1m (30ft) with a draught of up to 0.9m (3ft). Dinghy/tender required for access and storage facility available for Quomps mooring holders. Fore and aft trot moorings. Access by tender either from across the river by annual contract with Christchurch Marine or under own arrangements. Berths on the river bank from our land. Access through a locked gate. Landing stage access. Public car park nearby. Limited number of pontoon moorings, access via Waterloo Compound (Bridge Street). For vessels with a draught up to 0.9m (3ft). Hard standing storage for vessels on trailers up to 6.1m (20ft) in length. Access to river via compound slipway. Owner laid swinging trot moorings. Suitable for shallow draught vessels (0.6m (2ft) or less) that must be able to rest on the bottom at low tide. 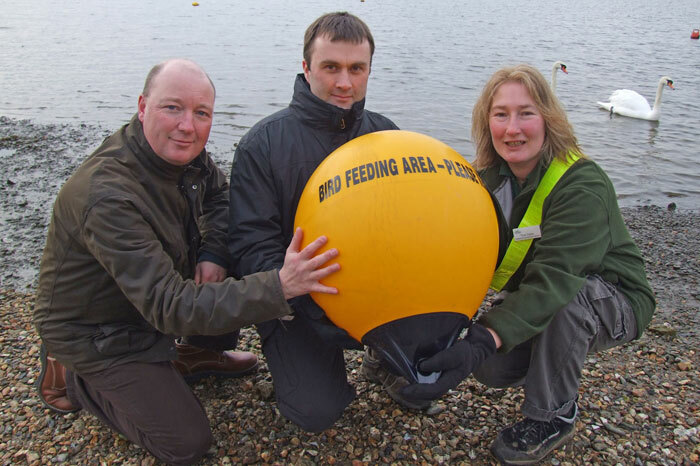 New customers must check existing tackle and buoys. Dinghy/tender required for access via public slipways. If you decide to take up a mooring, we ask that all mooring warps and chains are kept in a good state of repair and that adequate fendering is used. We also recommend that valuable equipment is not left on board when unmanned. To see the Moorings prices for 2019/20 please click here. Keeping the sea and shore clean is in everyone’s interests so we insist that you do not pollute the Harbour. For further information click here. 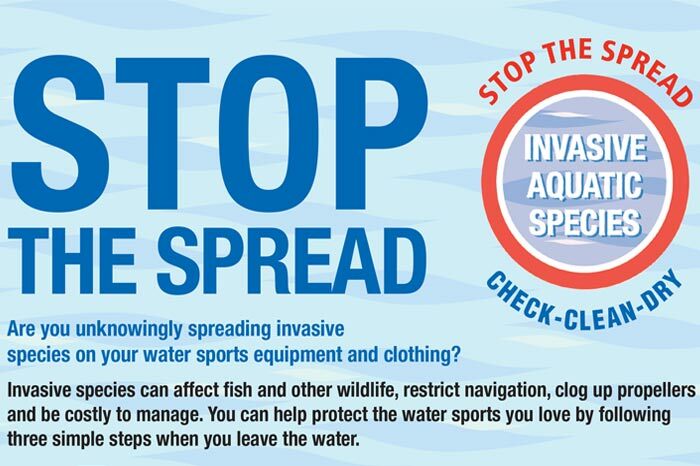 We also encourage Harbour users to help stop the spread of invasive plants and animals by following the Check, Clean, Dry code. For more information click here. Access to the Harbour, via The Run at Mudeford Quay, is managed by Christchurch Harbour Association which is a voluntary organisation responsible for the buoyage in the Harbour and outside its entrance. The association is run through a committee and is non-profit making being funded by the major user groups, of which we are the largest. Funding is based on a set fee for each moored craft. The speed limit within the Harbour and rivers is set by byelaw and is 4 knots. Excess speed can cause excessive wash which leads to foreshore and river bank damage along with safety risks to yourself and other users. Please take care. There are a number of wildlife sensitive areas within the Harbour which are buoyed to actively encourage waterborne users to stay away from. Bait digging is not permitted in the Harbour. We cannot stress too highly how important it is for boats and equipment to be properly secured and locked so we aim to foster a responsible attitude of boat owners and their equipment as well as encouraging them to be a good neighbour and reporting any suspicious or antisocial activity.